Tree planting isn't difficult, but there are a few important things to remember. 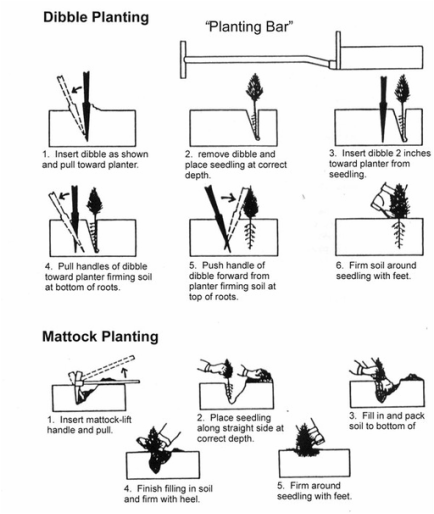 The first is to make sure that your hole is large enough to accomodate the roots of the tree seedling so that they are not bent upwards. Also, try to set the tree at the same depth that it grew in the nursery - a soil line should be visible on the stem of the seedling. After planting, be sure to water the tree thoroughly, and control the weeds around the young tree by mowing, light tillage, or herbicides.